Few movie characters are as delectably detestable as Addison DeWitt, the suavely urbane, unapologetically cynical theater critic who narrates All About Eve, making snide comments about the goings-on even as his own presence in the story renders those events progressively uglier. 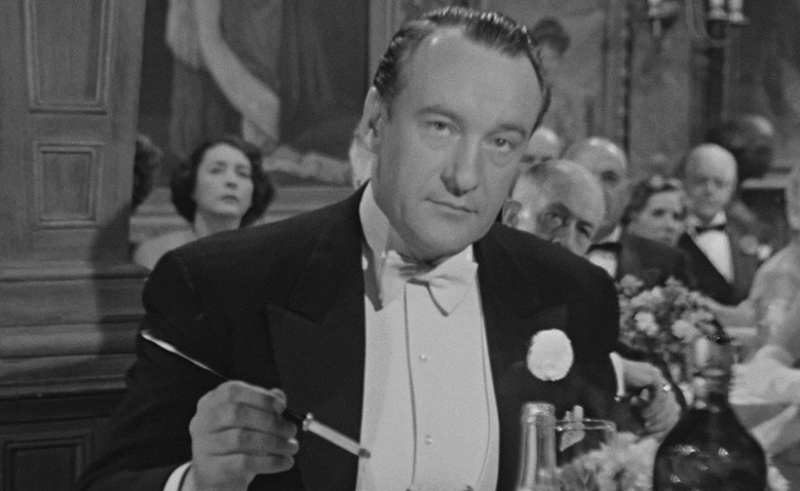 George Sanders was a perfect fit for the role, in ways that only became fully clear when he committed suicide many years later, leaving behind a note that read, in part: “I am leaving you with your worries in this sweet cesspool.” His stated reason for killing himself was that he was bored, and he plays Addison DeWitt as a man who believes himself such an expert on human nature, in all its sad grotesquerie, that his only recourse is to regard everything around him with detached, repulsed amusement. So convincingly does Sanders create the impression of an impermeable sophisticate that it’s genuinely shocking when DeWitt finally drops his guard near the end of the movie. When Eve attempts to play him, he responds with a torrent of bitter rage that clearly masks a core of wounded pride. In some ways, Sanders’ performance in All About Eve seems like the template for the snide British villain of future action movies—even Hans Gruber in Die Hard (German, obviously, not British, but same idea) evinces the same eye-rolling world-weariness. While I certainly haven’t seen every notable film released in 1950, this appears to be a case in which the Academy got it unquestionably right—even if Addison DeWitt himself would surely suggest that George Sanders either gladhanded its members, or simply appealed to their pathetic Anglophilia. 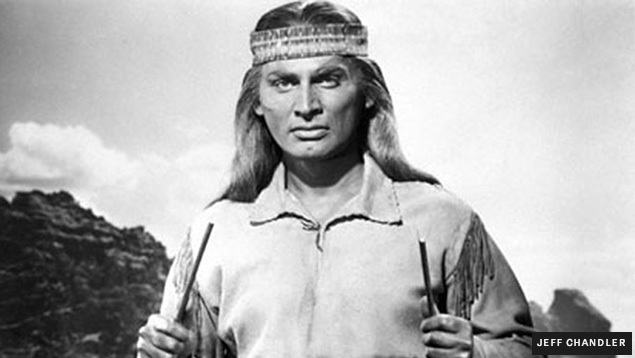 None of the three major critics’ groups I track in this column weighed in on this race—only the NYFCC even existed in 1950, and they didn’t start awarding a Supporting Actor prize until 1969. 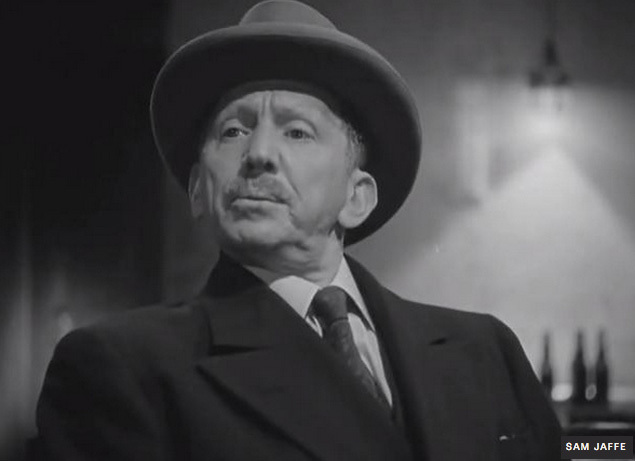 So I’ll look at some of the other Oscar nominees instead, starting with Sam Jaffe in The Asphalt Jungle. John Huston’s classic caper flick is a true ensemble film—it’s hard to make a case even for Sterling Hayden as a lead—and it isn’t entirely clear to me why Jaffe was singled out, apart from age and respect. The best word to describe his performance as “Doc” Riedenschneider, the brains of the outfit, is “natty”: The character prides himself on not getting flustered, and most of his screen time is spent responding to urgent matters with cool, methodical precision. Doc does betray some anxiety during the heist itself—creases mar Jaffe’s forehead as he watches others perform their crucial tasks—but the moment that arguably secured him the nomination comes at the very end of the film, when Doc gives a random young woman in a diner some nickels and asks her to play him a tune on the jukebox, then watches her dance for him. Without a word of dialogue, Jaffe conveys the sense that Doc knows this is his last taste of freedom, though I think a greater actor would have injected more lust (or at least tenderness) into his sad expression. Solid work, all in all, and Jaffe doesn’t irritate me here the way he does in Frank Capra’s Lost Horizon, but his nomination likely owes as much to career-achievement recognition as to the performance itself. One of the questions I struggle with, as someone who votes in various year-end polls, is how much range an actor needs to demonstrate in order to do truly superlative work. In the lead categories, it’s hard for me to get overly excited about someone who, to steal Pauline Kael’s immortal description of Dustin Hoffman in Rain Man, “hump[s] one note on a piano for two hours,” even when that note rings magnificently true. 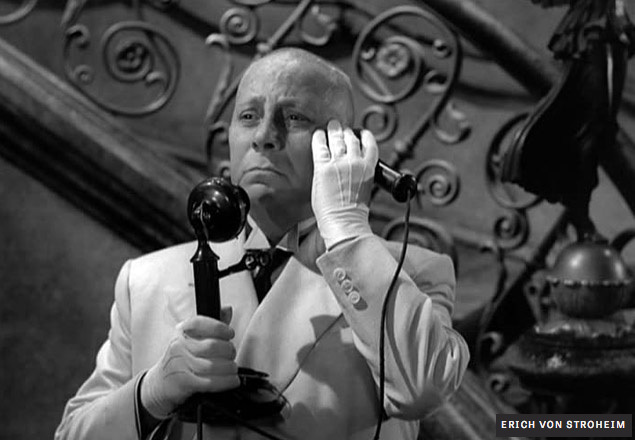 In the supporting categories, on the other hand, such limitations seem less important, which is why it doesn’t bother me in the slightest that Erich von Stroheim’s performance in Sunset Boulevard scarcely shifts an iota from the initial impression he creates as Norma Desmond’s butler/ex-husband, Max. Von Stroheim was a much greater director than actor, but he had a uniquely imposing screen presence that served him well so long as he was perfectly cast, as he was by Billy Wilder in both this film and Five Graves To Cairo. (His finest work, by far, is in Jean Renoir’s Grand Illusion, which was nominated for Best Picture but received no other nods.) As Max, he’s sour and stolid, but with an undercurrent of protective menace, and while the performance doesn’t exactly deepen over the course of the movie, it does become more poignant as the character’s backstory is revealed. Furthermore, von Stroheim needs to resemble a scowling marble statue in order to balance Gloria Swanson’s grandiose silent-screen swanning; the two of them represent opposing magnetic poles irretrievably attracted to each other. In other words, it’s a necessarily limited performance, perfect in its own small way. Best of luck trying to imagine anybody else in the role, and that’s worth a lot. One of the trickiest things for an actor to do is inhabit a nebulous gray area, making it hard to guess what he’s thinking, without just seeming confused or wishy-washy. 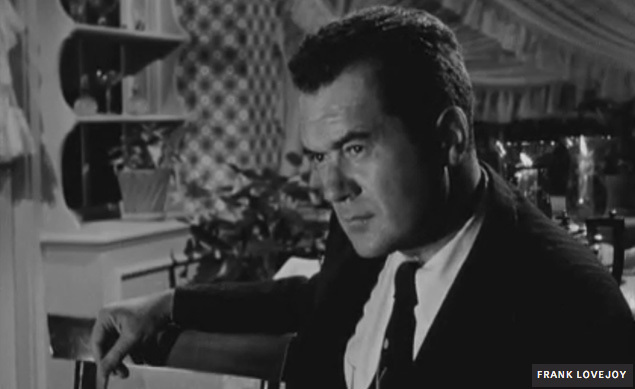 Little-known character actor Frank Lovejoy, perhaps best remembered for starring in Ida Lupino’s The Hitch-Hiker, pulls off that balancing act with aplomb as Humphrey Bogart’s former army buddy turned detective in Nicholas Ray’s In A Lonely Place, which sees Bogie’s screenwriter, Dixon Steele, becoming suspect No. 1 in a homicide. Despite being saddled with the unfortunate name Brub Nicolai, Lovejoy is ineffably relaxed, eschewing the usual hard-boiled mannerisms associated with the noir detective; at the same time, there’s a very slight edge to most of his words, and a detectable wariness at the back of his eyes, even when he’s kidding around. Brub seems torn between loyalty and suspicion, and the beauty of Lovejoy’s performance lies in the way he declines to signal whether Steele is speaking to a friend or a persecutor at any given moment. When Brub first brings Steele in for questioning, Steele casually asks, in the middle of a line of questioning, whether he’s being recorded on tape or wire (a distinction I frankly don’t even understand, since I think of a wire as involving magnetic tape). The slight pause Lovejoy takes before replying “Tape,” combined with the way his studied effort at a jovial smile shades into clear mistrust, lets viewers know that the hero won’t be sauntering his way out of this situation any time soon. In many films of this sort, Lovejoy’s cop would also be the protagonist’s brother, thereby supplying a ready-made source of uncertainty. Achieving the same effect solely with demeanor is a real coup, and to do so while being repeatedly called “Brub”… that’s acting.